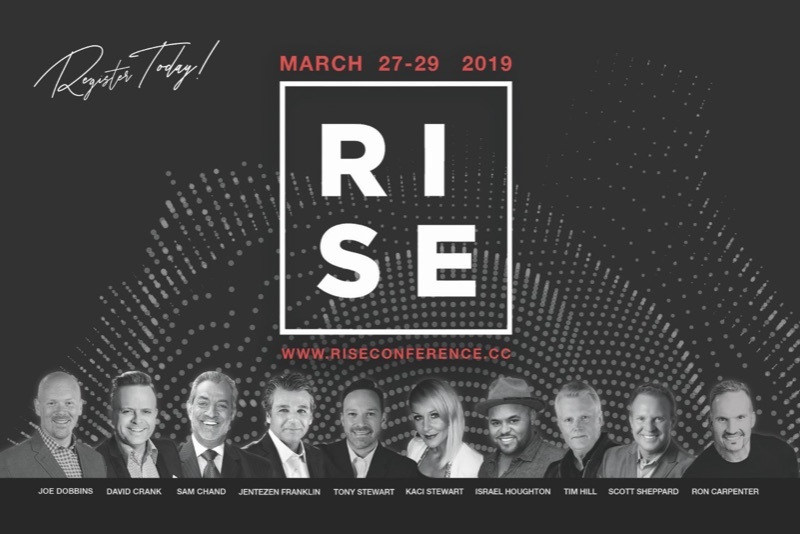 RISE is a FREE world-class conference for church leaders who desire to rise above average and accomplish the extraordinary for God’s Kingdom. This two-day experience is the perfect melding of practical insights and prophetic voices. In addition to a variety of practical breakout sessions for Lead Pastors, worship, children, youth and many more, attendees will hear from national church leaders like Dr. Tim Hill, Pastor Jentezen Franklin, Pastor Ron Carpenter Jr., Pastor David Crank, Dr. Sam Chand, Dr. Dave Martin as well as worship guest Israel Houghton, you will also hear RISE stories from Pastor’s Jason Daughdrill, Mike Sanes and Scott Shephard. Held in Tampa, FL at citylife church on March 27-29. citylife church was listed four out of the last five years in Outreach Magazine as one of Top 100 fastest growing church in America. RISE promises to create an environment where God’s spirit refreshes, God’s people connect, and God’s mission is furthered. To learn more and register, tap or click the link below. Copyright © 2019 Church of God International Offices, All rights reserved. As church leaders, you are at the forefront of sharing the Gospel with local communities. But the culture around us is changing, and we have much more to be concerned about than we did even a decade ago. Because of the changing culture, churches across the country are experiencing legal challenges that threaten their religious freedom. These challenges relate to the use of church facilities, sexual orientation and gender identity laws, equal access to government grants and property, employment regulations, and more. At a time when so much is changing, we have to ask ourselves, is my church prepared to handle these legal issues? In a threat to our church’s religious freedom, how would we respond? We’ve partnered with ADF Church Alliance to help us address these important concerns. ADF Church Alliance is a legal membership program that helps prepare and protect your church’s religious freedom, so you can freely live and preach the Gospel. Religious liberty audit: ADF reviews your church’s constitution, bylaws, and policies to expose and correct areas of legal risk. Direct access to attorneys: Consult with ADF attorneys whenever you have legal questions. Resources: Access resources to help you and your congregation navigate religious freedom issues. Pro bono legal representation: ADF can represent your church in cases involving its religious freedom. You can learn more about the program by clicking here. Check out videos from Dr. Tim Hill, COG General Counsel Dennis Watkins, and Pastor J.C. Worley from GO Church. Copyright © 2018 ADF Church Alliance, All rights reserved. You signed up for this email from our website.